With a government that is ideologically opposed to action on climate change, sparking a fresh debate on pricing carbon seems necessary as it could complement the Coalition’s direct action policies. Although if our major parties were serious about climate action, we would no longer be expanding our fossil fuel production, as Alan Pears writes. This article was published in The Conversation. The article can be found here. There’s little point in getting too excited just yet about the details of Direct Action and its merits (or otherwise) as compared with emissions trading. Why? Because all of the current debate about Australia’s response to climate change is focused on paths that are completely inadequate compared with the action that climate science tells us we must take. If we were really serious, we would no longer be trying to expand our fossil-fuel production. If we were serious, we would increase the Renewable Energy Target, rather than the government proposing to cut it. We would introduce aggressive energy-efficiency measures, instead of shutting down and emasculating programs. We would protect the carbon stored in our forests. And we would be actively helping to cut emissions in developing countries. We would still pursue Direct Action, but also put a price on carbon. As I have pointed out here before, the two aren’t mutually exclusive. Putting together a credible set of carbon policies will mean finding ways of extracting ourselves from the political morass we are now in. 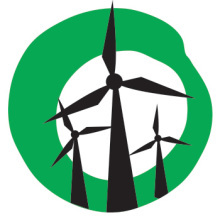 Even Direct Action, based on the Emission Reduction Fund, is opposed by many within the federal government who see climate change as a left-wing conspiracy or an otherwise trivial issue. While Labor is now once again waving the flag for a price on carbon via an emissions trading scheme, it has shown a remarkable level of generosity to high-emitting industries and a badly misjudged approach to Direct Action, demonising the idea despite having previously encouraged direct initiatives such as the Carbon Farming Initiative. Regardless of their ostensibly contrasting stances, both major parties are deeply committed to growing fossil fuel production for export. Given this mess, what do we do? Individuals, community groups, local governments, progressive businesses, and some state governments are acting in many constructive ways, despite the failures and, in many areas, active opposition of our political and business leaders. Investment in energy efficiency and renewable energy, divestment to shift capital away from high-emission industries, growing support for public transport, lifestyle changes of many kinds, and innovative business and financing models are just some examples. The recent decline in electricity consumption partly reflects the effectiveness of these actions. Indeed, Australia may well achieve its 2020 target of a 5% reduction in emissions in spite of, rather than because of, the efforts of our leaders. This will doubtless be claimed as a policy success, rather than an egregious failure to do even more with the opportunity. But that’s politics, I guess. We do need to at least begin to rebuild a national government path forward on climate. And, believe it or not, last week’s chaotic events do provide some basis for this. If we were back in 1990, when carbon pricing was first discussed, the government’s grudging pledge to conduct a review into emissions trading might even be seen as significant progress. At the moment, the Direct Action deal does no more than offer a glimpse of hope that we can plot a pragmatic course on climate policy. It also offers scope for climate deniers and free-market advocates to establish a sham scheme that does nothing but increase subsidies to certain industries. Nor does it avoid the cost of putting a price on carbon: the money simply comes from the taxpayer rather than requiring polluters to pay. Overall, achieving a given level of abatement is likely to cost more under Direct Action, because it is more difficult to target low-cost options and avoid subsidies. That said, it now looks as though independent senator Nick Xenophon and economist Danny Price (who advises both Xenophon and environment minister Greg Hunt) are in the box seats to drive progress. We also have a basis to progress some moderately useful, potentially unnecessarily expensive, “direct action” measures. Maintaining the existing Carbon Farming Initiative, originally established by Labor and supported by the Coalition, is important. Meanwhile, the Emissions Reduction Fund – while not as efficient as a wider carbon price covering more of the economy – will deliver emissions reductions within those businesses who successfully bid to receive taxpayer funding. The fine print on Xenophon’s proposed “safeguard” mechanism to prevent emissions blowouts under the Direct Action scheme will be critical. If this is weak, as envisioned by the government, we are wasting time we no longer have. If an effective framework is introduced, it could form a basis for a “baseline and credit” emissions trading scheme, which could be run by industry if the government doesn’t want to be accused of a backflip, having promised never to return to what it views as the dark days of carbon pricing. Perhaps the forthcoming emissions trading review, to be carried out by the Climate Change Authority, could focus on practical ways of making this approach workable and politically acceptable. Setting these safeguards, however, sounds simple in principle but is tricky in practice. It would involve giving each participant in the scheme a “baseline” emissions level, above which they would pay carbon-related penalties. But, as we have seen with existing baseline and credit schemes, including the Clean Development Mechanism, Carbon Farming Initiative, and energy-efficiency trading schemes in New South Wales and Victoria, getting baselines right is much easier said than done. In our present political context, baseline and credit has some important advantages over the “cap and trade” approach used by Labor. First, emitters only pay for emissions above the baseline, not all emissions, so it’s cheaper for them. Second, they can gain credits for reductions below the baseline, which they can sell to those who exceed their baselines, giving them scope for profit. A smart business can win a generous baseline, so its chances of profit far exceed its risk of costs. A baseline and credit scheme could also include internationally sourced permits, subject to government approval of the types of permits and the extent to which they could be used. This is no different from the situation under cap and trade. If appropriate governance mechanisms are built in, the baselines can be tightened over time, to reduce the scope for gaming and windfall profits. This might work better than Labor’s carbon price tactic of giving free permits to emissions-intensive industries, which effectively locked in subsidies. 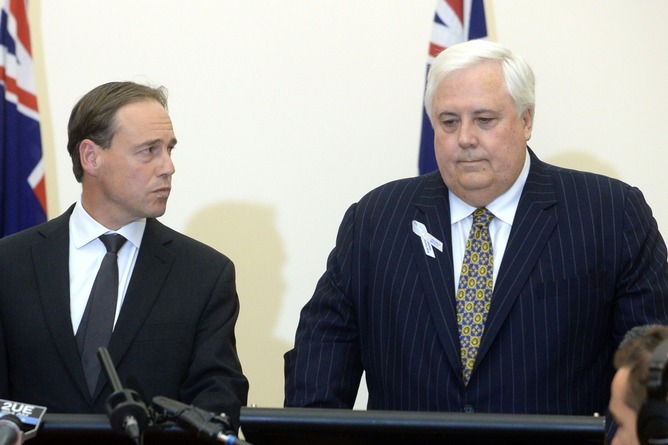 It also allows Clive Palmer to claim support for his suggested “dormant” emissions trading scheme, because any future tightening of baselines would increase the emphasis on trading. Progressive tightening of baselines could also transition to a cap and trade scheme. By progressively tightening the baselines, a higher proportion of emissions would attract a carbon price. Meanwhile, the scheme could be gradually expanded to include a wider range of businesses and activities. You never know, by 2020 we might actually have a useful carbon policy. And it might, in an alternative political reality, be called Australia’s emissions trading scheme. It seems to me that the LNP politicians have an ideological aversion to doing anything about climate change and their Direct Action policy is simply a fig leaf. In practice we can expect their policies to deliberately wreck the renewables sector and impose the least amount of burden upon their business mates as they can get away with. Of course, they will assert that they are doing a great job in reducing emissions as they are expert at arguing that black is white. They are very good at extracting every political advantage that is available by practicing the dark arts of lying, twisting and spinning. Given the seriousness of the climate change issue and the very different approaches taken by their conservative cousins in Britain and Germany one can only conclude that they are evil. If good can come from evil it will only be through a skillful political performance by the rational. Let’s hope. It really isn’t all that difficult. A simple solution to future pollution is depicted in this cartoon . . . . . .